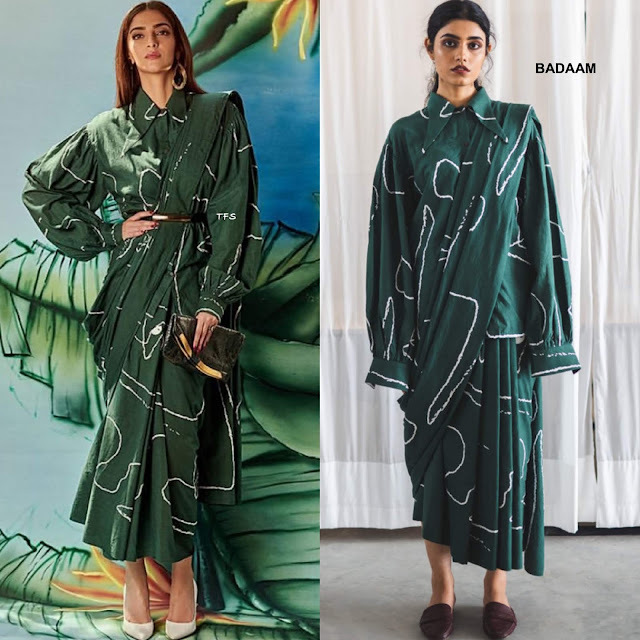 We might get a dose of Sonam Kapoor's style during film festivals, but if you follow her on social medial, she serves some up on the regular. The Bollywood star posted several stylish looks to her instagram page recently. 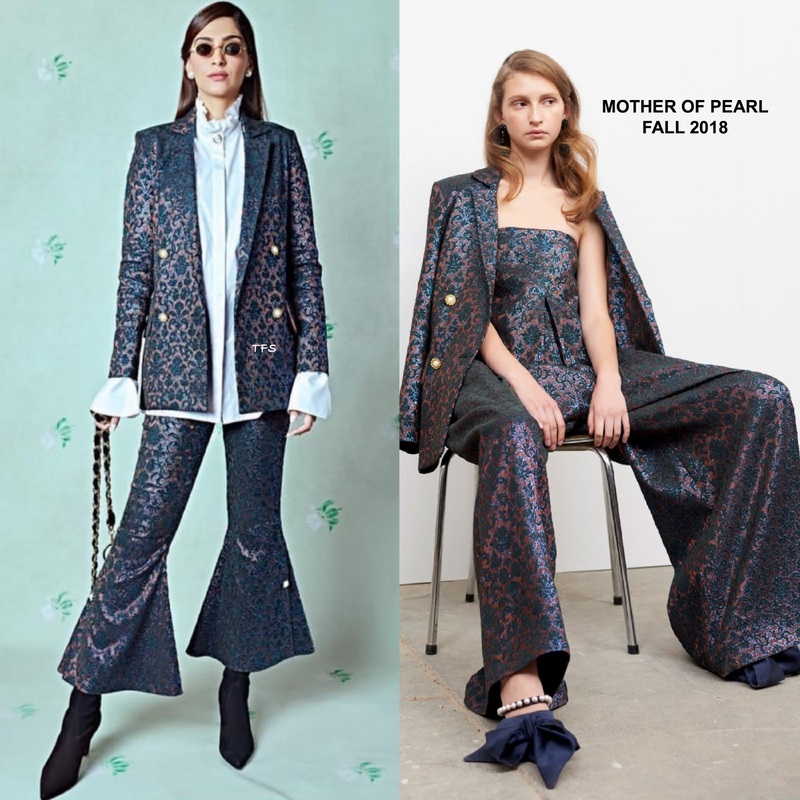 1st Look - She posed wearing a MOTHER OF PEARL FALL 2018 floral jacquard suit, which featured a white ruffle high neck shirt underneath, and matching flare leg trousers. She also carried a bag from the fashion house as well. This is cute, retro chic. 2nd Look - She went the business, sophisticated route. 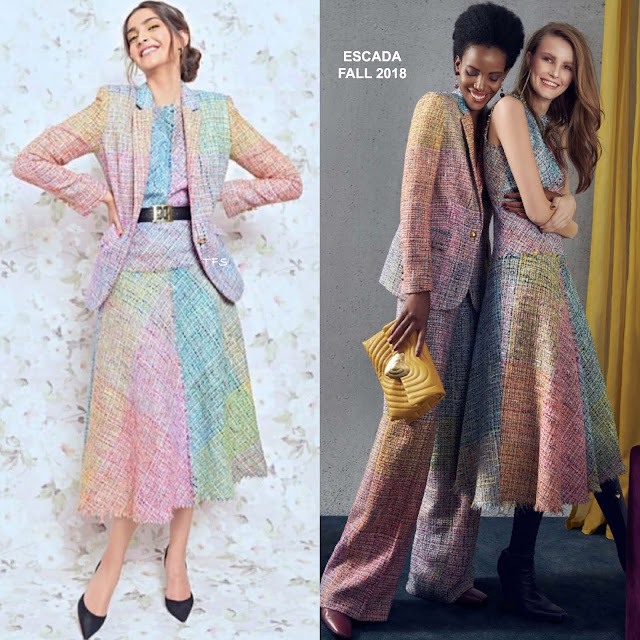 She wore a ESCADA FALL 2018 rainbow tweed blazer, with the matching top and A-line skirt which was belted at the waist. My only quibble here are the black pumps. A burgundy, neutral, or white would have better a better choice in my opinion. 3rd Look - A BADAAM incense saree, which has been entirely handwoven and hand dyed by artisans in India. Sonam styled it so much better than how it is shown in the look book. The belt worked in her favor, along with the accessories. ONE NOUGHT ONE ONE earrings finished up her look.